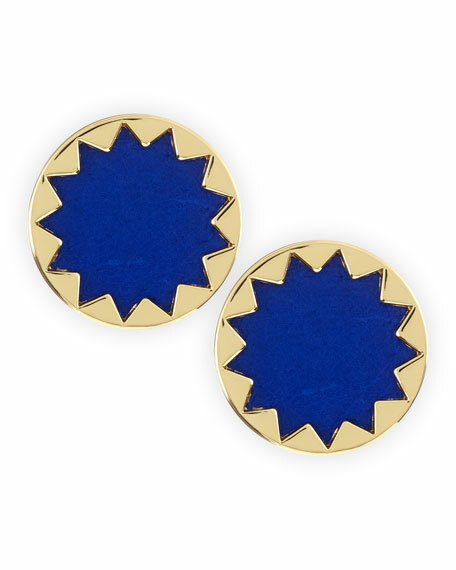 House of Harlow blends edge into boho chic with these golden sunburst button stud earrings featuring a leather inlay. Sunburst disc with leather inlay. Push backs with plastic disc. Raised in the spotlight with a lifelong appreciation for fashion and costumes, Nicole Richie launched the House of Harlow 1960 jewelry line in 2009. 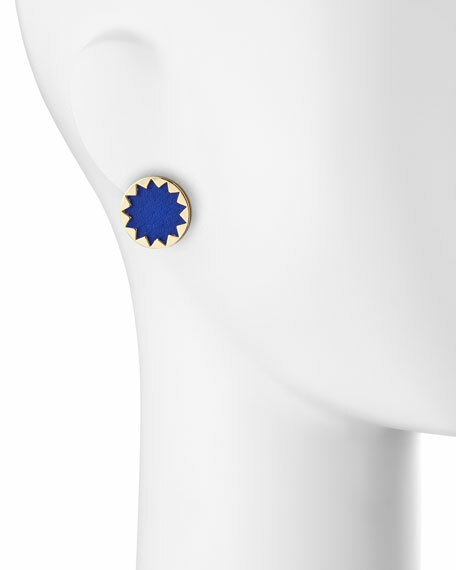 Characterized by signature motifs like the starburst pendant and geometric stations, the line's effortless, bohemian pieces have been spotted on celebrities and stylish girls everywhere. Under Richie's creative and strategic direction, House of Harlow 1960 has since expanded to include ready-to-wear, eyewear, shoe, and handbag lines.